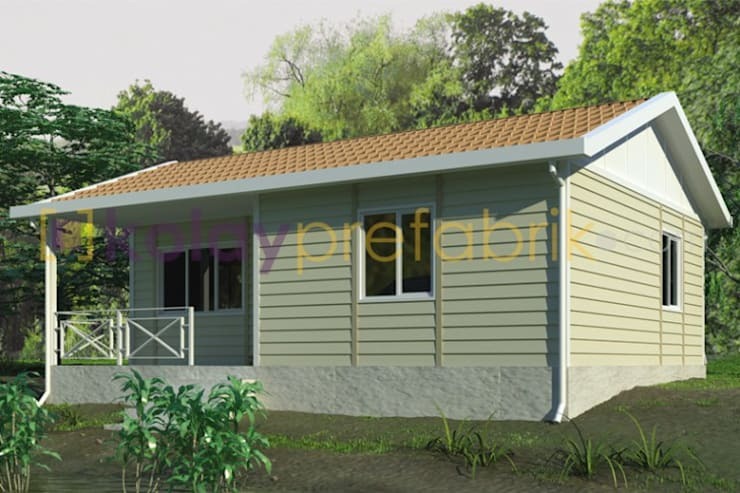 Prefabricated houses have captured our hearts because of their convenience, durability, and stylishness. Those might seem arguable for some but believe us when we say that prefabs can be fabulous! And by that we mean simple, beautiful and functional altogether. Let's take a look at these three prefab houses each spanning 58 square meters that embody those qualities. 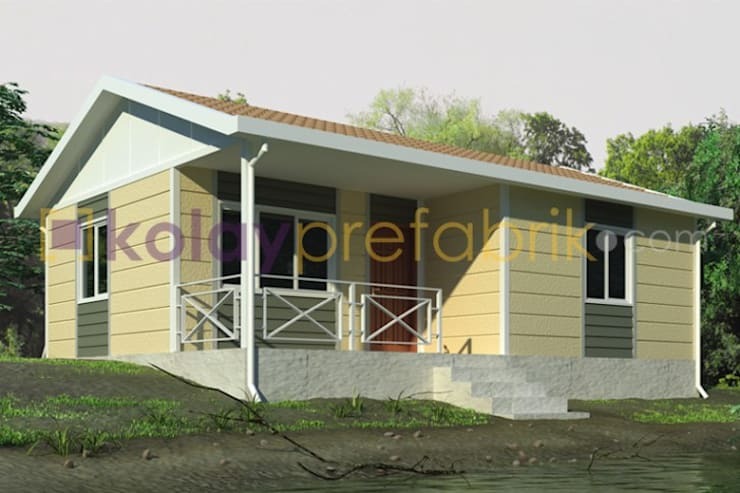 This is the first model of the prefabricated house by EasyPrefabrik.com. We'll discuss more about what it has inside in a while. We'll talk about first this house's high thermal insulation because of the glass wool material used for the walls inside which has a thickness of six centimeters and outside at 10 centimeters. So you've got a decent conditioning inside. All of these houses have the same dimensions. They're comprised of a living room at 21 square meters, two bedrooms (one 11 square meters and the other 10 square meters), a kitchen at 3 square meters, one bathroom at five square meters, and a veranda that spans eight square meters. This second model features a paneled design to give the exterior some surface. 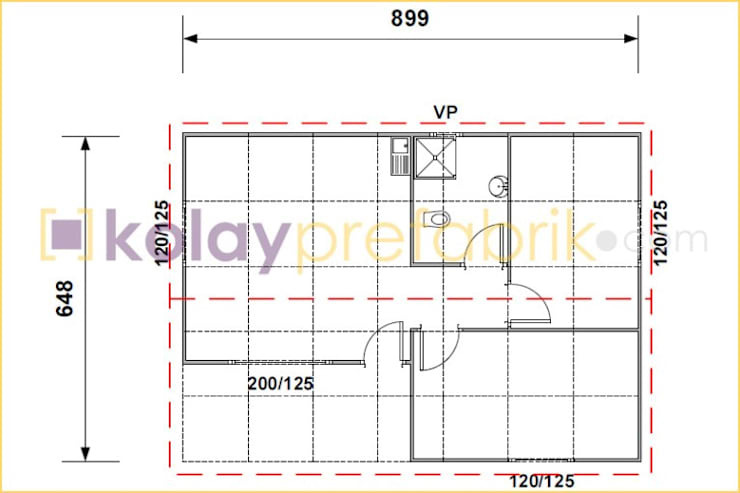 Doesn't this debunk the notion of having a boring facade just because you have a prefabricated house? 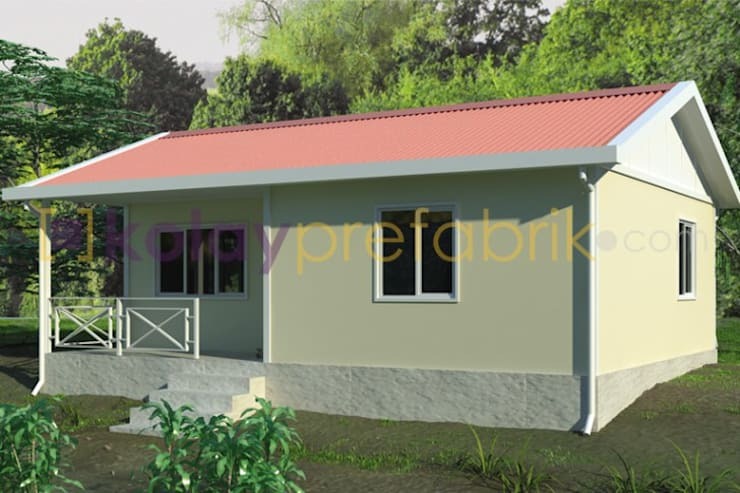 On another note, prefabs are also structurally durable because their parts like the walls and roofs are linked together with high-strength metal fasteners. These systems are also claiming earthquake resistance nowadays. Consult engineers for these features. The final model includes the same paneled design but with variation in terms of color. In any case, you have the ultimate choice as to which color you would like to have for the prefab house, but doesn't this look so dreamy and homey? The doors are made out of steel and the windows are made of standard double-glazed PVC for fortification.